I just got back from a trip to Vegas this week and after a couple days of recovery, I was ready to bake! I’ve written about my obsession with Vegas in past posts. This was my 8th time, but it wasn’t any less fun than the others. The only bad part was when I lost my iPhone and then watched it (through Find My iPhone) move on the map and go offline. I threw up. Literally. Anyway, back to the reason you’re here. 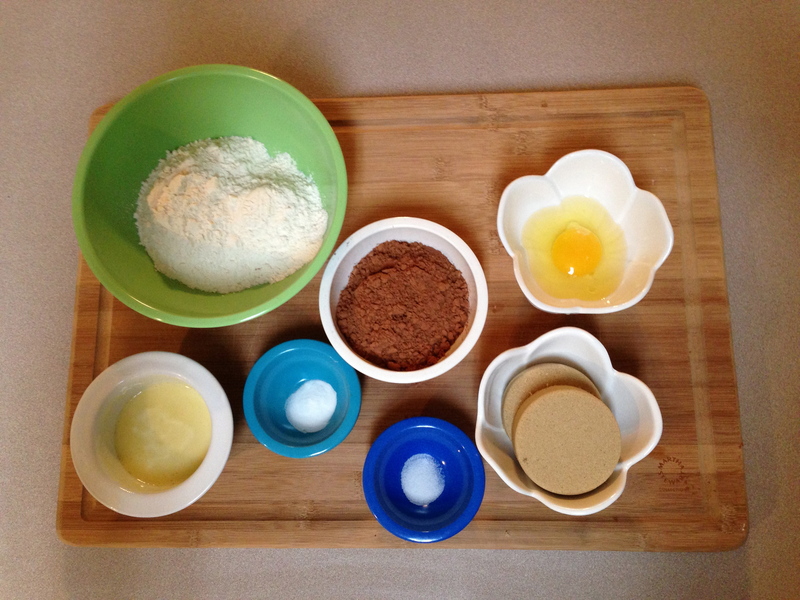 Step 1: Gather ingredients for cookies: Flour, cocoa powder, egg, brown sugar, salt, baking soda, melted butter. F’ing melted butter! Turn away from the microwave for 10 seconds and it boils everywhere! Sick. 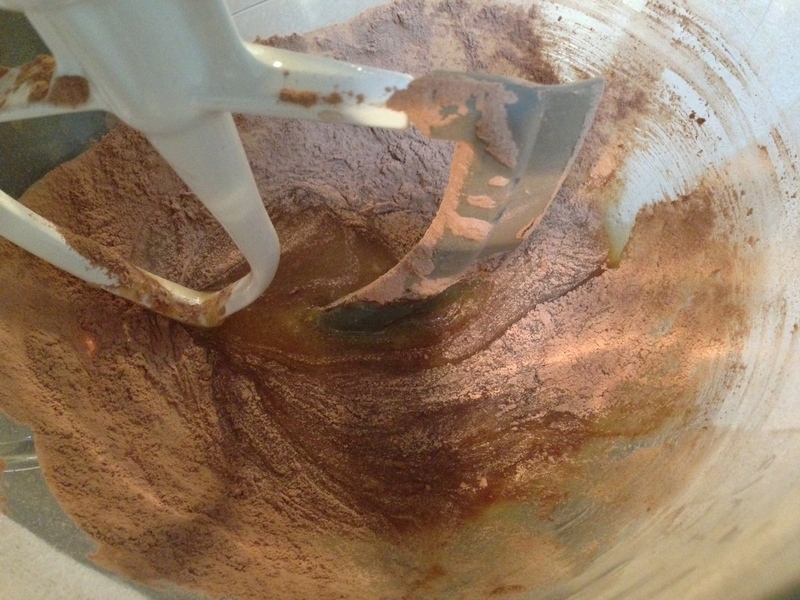 Step 2: Whisk together flour, cocoa powder, baking soda, and salt. 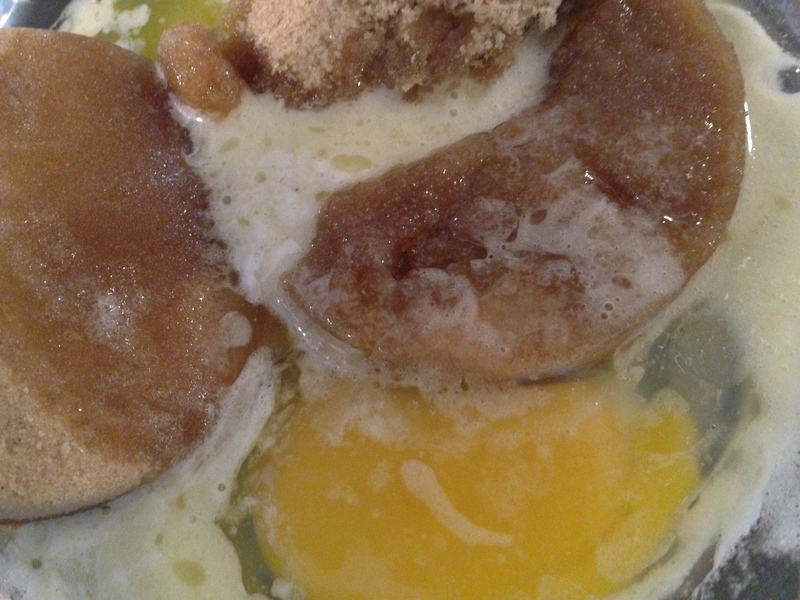 Step 3: Mix together butter, sugar, and egg. 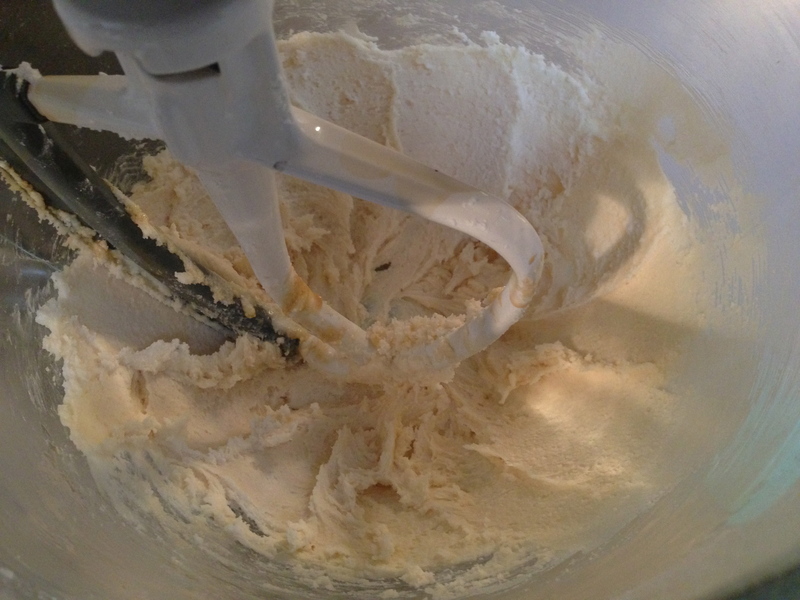 Step 4: Gradually add flour mixture until dough forms. 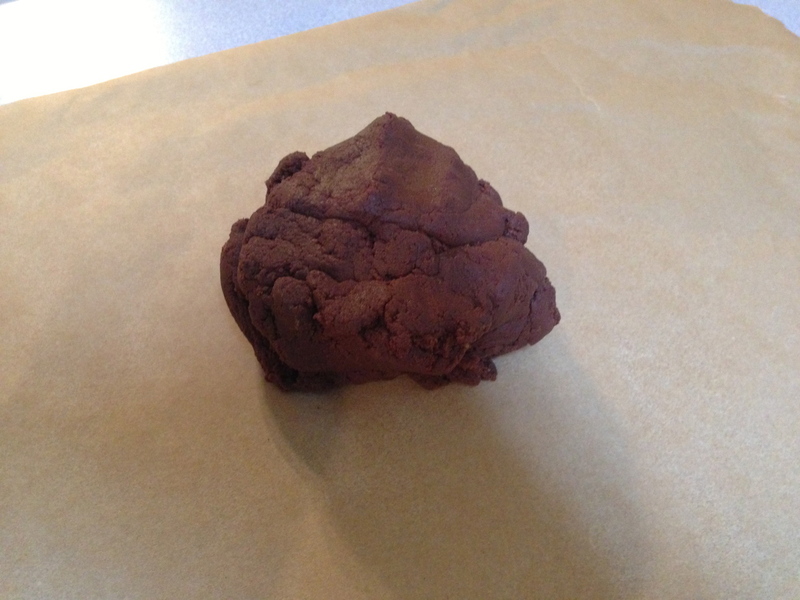 It took a while, but it finally turned into a dense blob. Step 5: Divide in half and roll between 2 pieces of parchment. 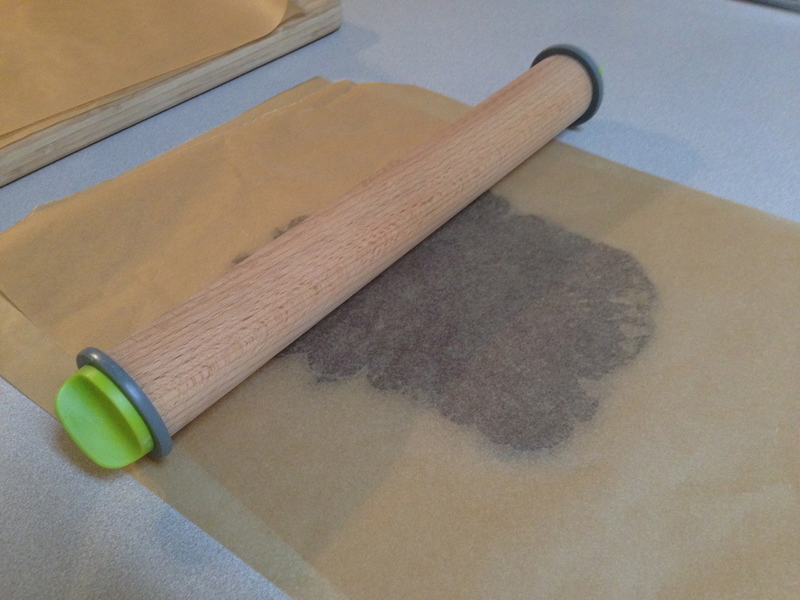 This is my favorite way to roll dough! No mess! Luckily my roller had 1/4-inch rings so it was the perfect thickness. Step 6: Stack on a baking sheet and chill until firm (30 mins). Xander was clearly bored with waiting. 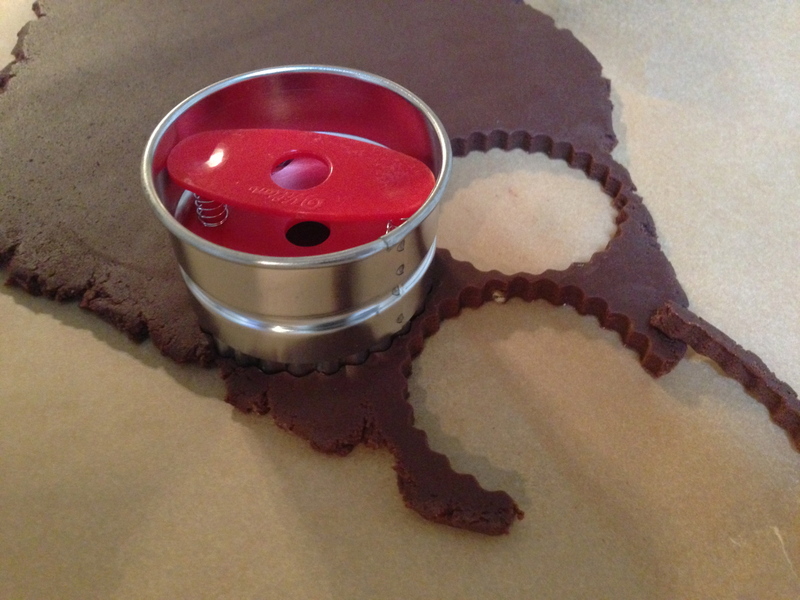 Step 7: Cut into 2-inch rounds. 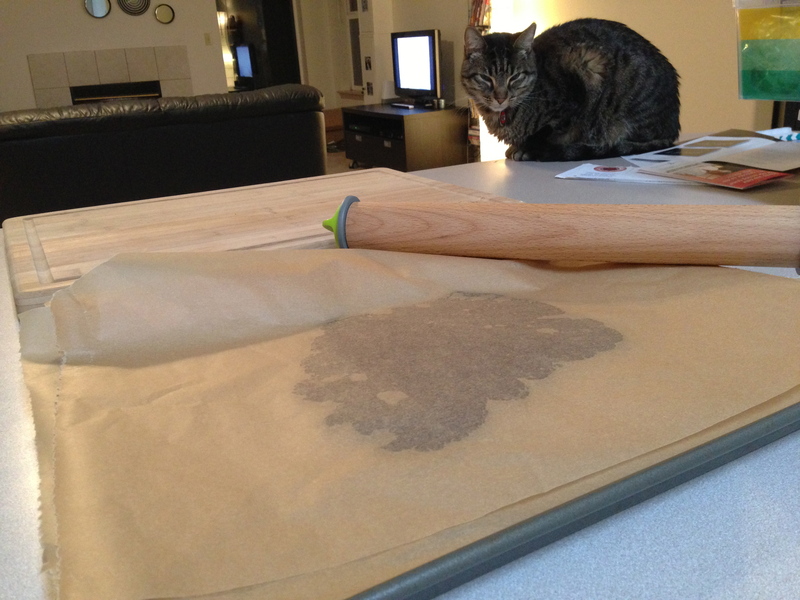 I found this Linzer cutter which was perfect! Step 8: Bake for 8-10 mins. 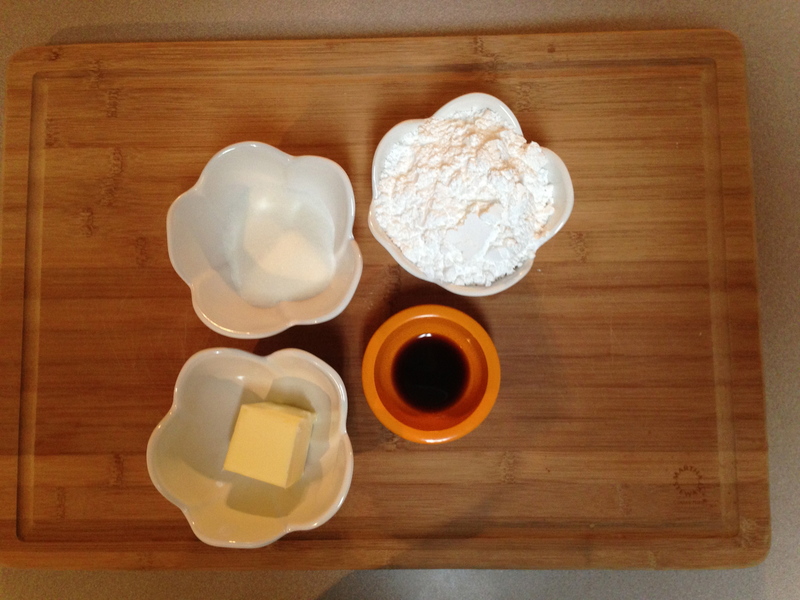 Step 9: Gather ingredients for filling: Sugar, powdered sugar, vanilla, butter. 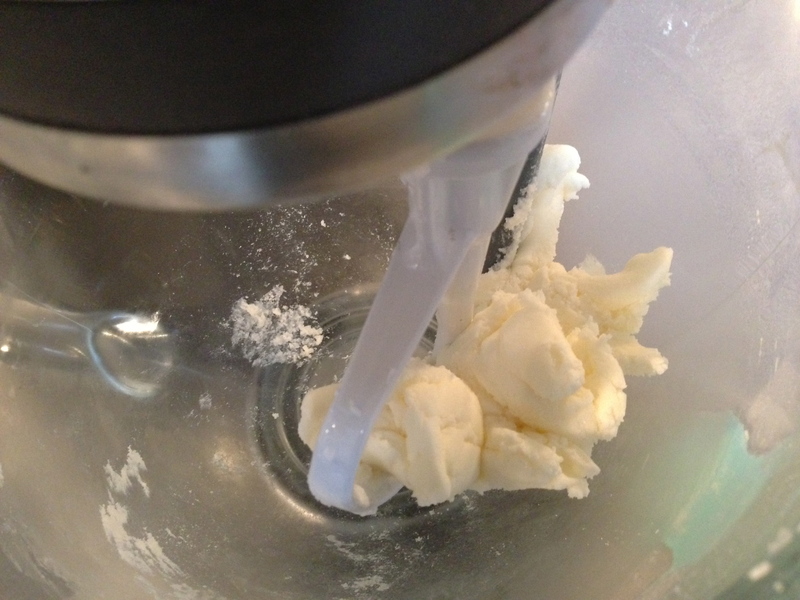 Step 10: Beat butter until fluffy. 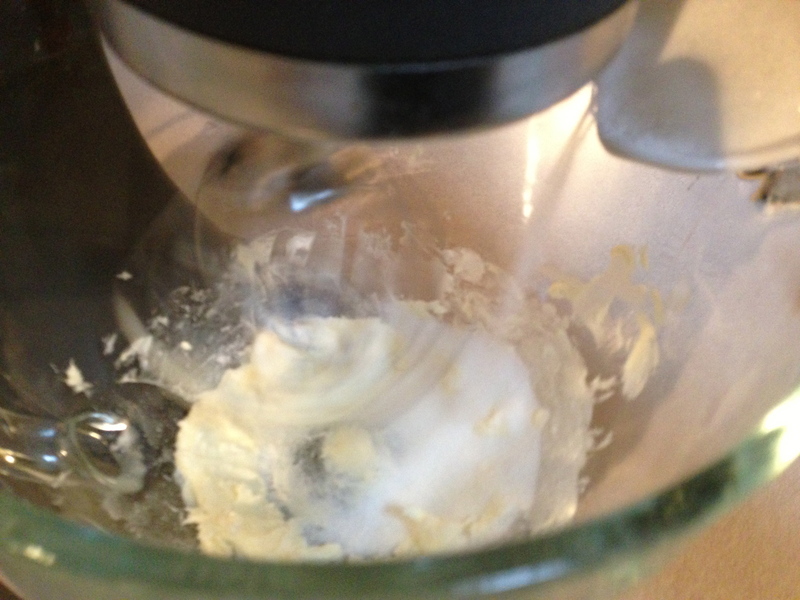 Who would have thought that it becomes more difficult when you use less butter? That was just swishing sugar around in the bowl. Crap. I decided to switch to the paddle attachment. 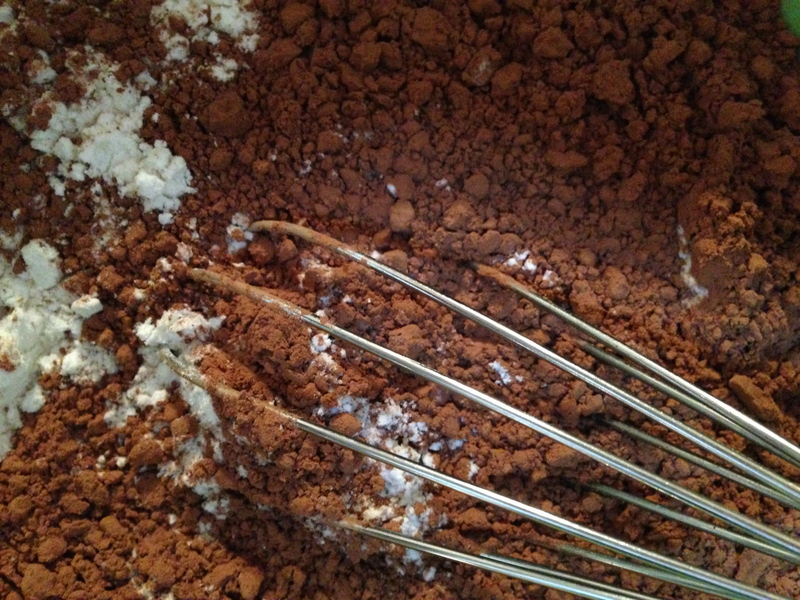 Step 12: Beat in vanilla. Hahahahahahaha! Are you kidding?! This is why we’re friends, Martha! Of course I’ll do that! 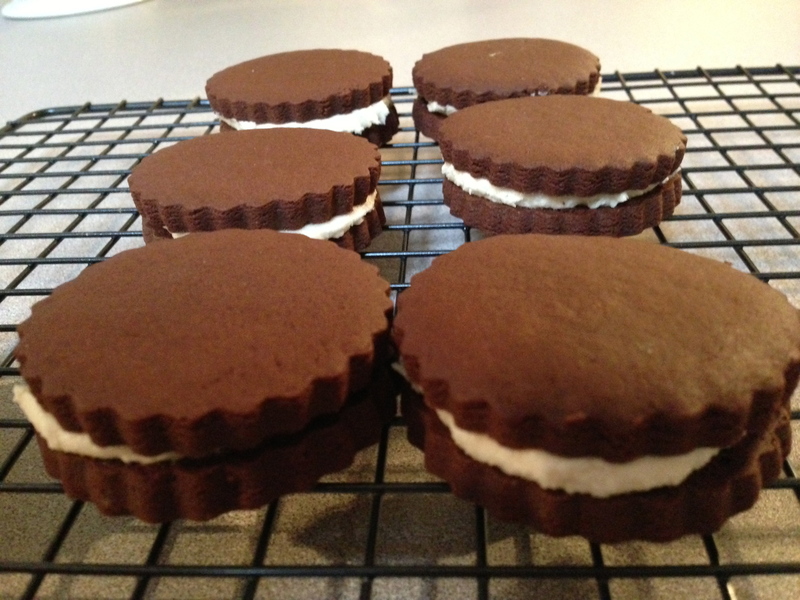 Step 13: Drop about 1 tbsp filling onto one cookie, top with another. Forget to take a picture of this process. But look! They’re so pretty! 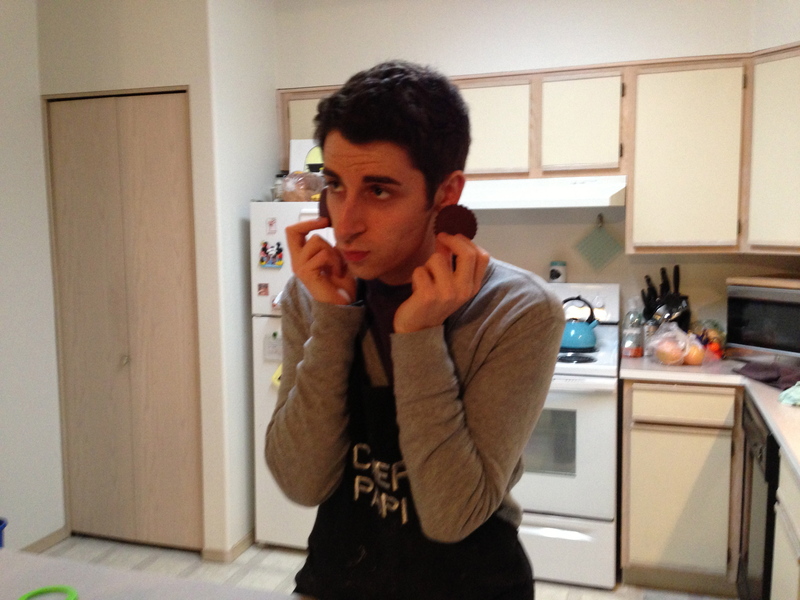 I was watching The Devil Wears Prada while baking, so naturally I turned them into Cookie Couture. Forgive me, Tyra, for I was not smizing. 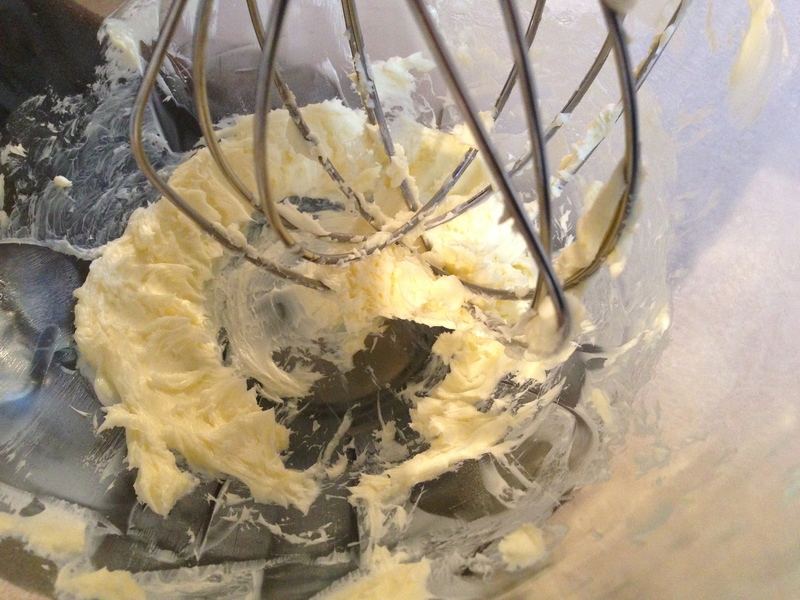 Beating half of a stick of a butter might be easier by hand than with the KitchenAid mixer. OMG I’m kidding. 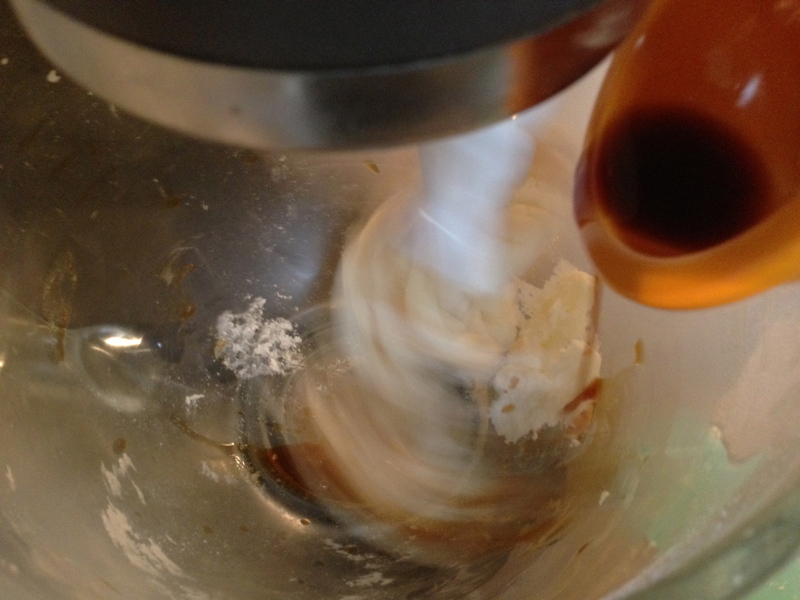 The filling was a little grainy (because of the granulated sugar). Is it supposed to be like that, or is it supposed to melt or something? 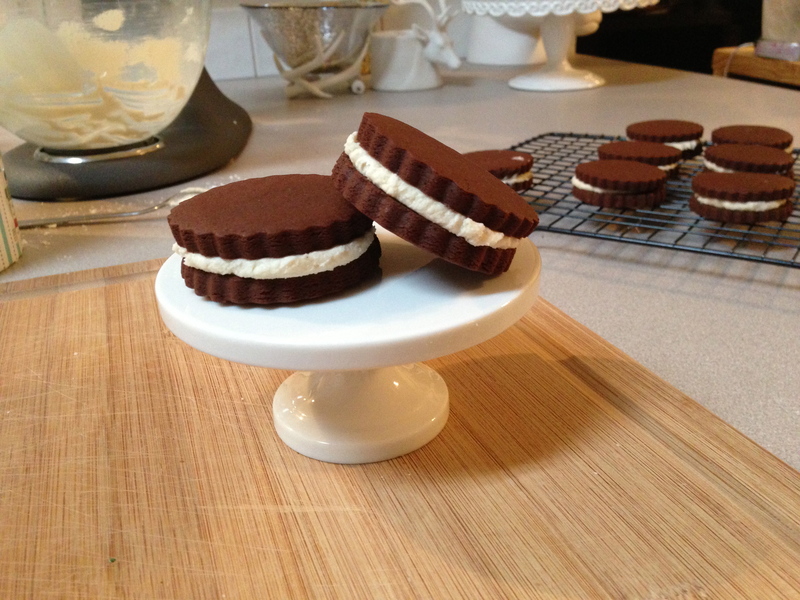 If you ever feel like spending 2 hours making just 15 cookies, do it. They’re good. 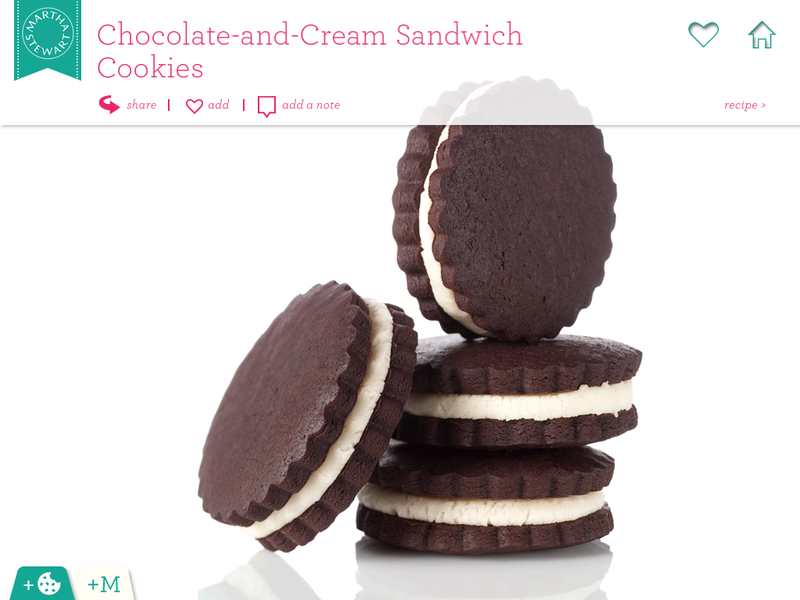 You could probably use powdered sugar and the taste would be the same without that granulated texture. 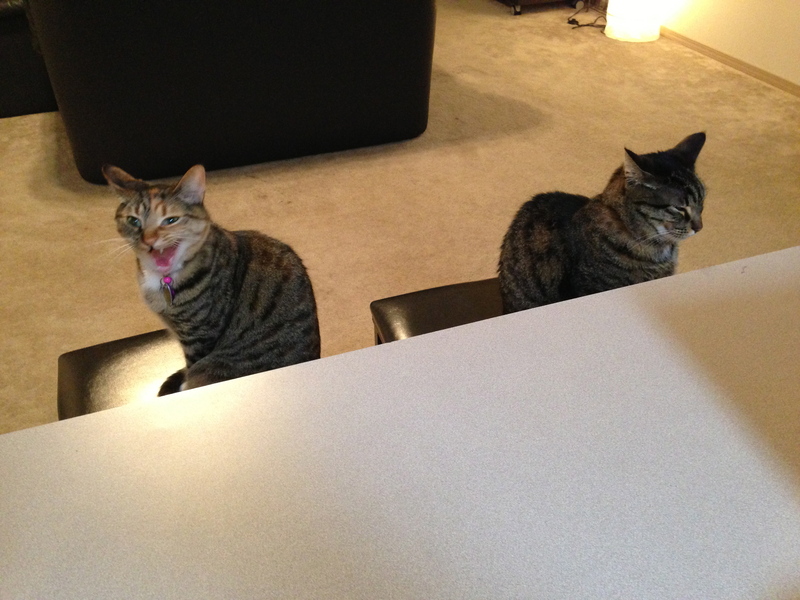 They look very professional. Love that cute cookie cutter. Miss your cookies!